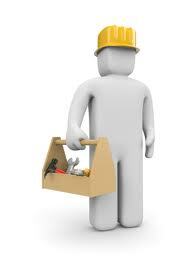 30 years experience working on large construction sites, residential homes, commercial property and offices. Saniflo repairs, saniflo servicing, saniflo unblocking, saniflo installations, drain unblocking, a plumbing repair service, locksmith repairs and non destructive door re-entry if you have lost your keys. If you decide to use our services and we hope you do, our phone lines are open 5 days a week 8am-6pm Monday to Friday where someone is waiting to take your call on Saturday or Sundays you can leave a message and you will receive a call back first thing Monday morning, we do not have a call centre. In normal working hours should our phone line become engaged just leave your name and telephone and you will be called back within a few minutes, many companies do not answer their phones for hours on end and this is very frustrating as your job could be an emergency which needs to be dealt with fast. We pride ourselves on the excellent service we give to our customers, this is why the majority of our work is from satisfied clients who recommend us to their friends, families and business associates. Our company was founded in 2003 and has gone from strength to strength even in this tough economic climate. If you need to use our services just send us an email with your requirements or the contact details of your current tenants and we can liase with them to fix any problems you may have. We know this can be stressful when a problem occurs when you are thousands of miles away from home, you can rely on our fast and efficient service to get the job done. We offer a high standard of workmanship and our work is guaranteed, but if you our customer is not happy with something then please do not hesitate to get in touch we will be happy to answer any questions or queries you may have or to put things right if a problem does occur, thats our promise to you.